Walk to everything from your modern loft at Orchidhouse! 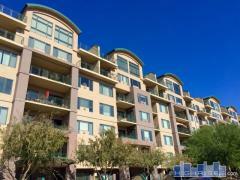 Downtown Tempe and Mill Avenue are nearby, as are the Brickyard Mall, ASU, Tempe Town Lake, restaurants, movies and clubs. These lofts are zoned live/work, so you can operate a business out of your home. Have any comments or questions about Lofts at Orchidhouse? Ask your question and/or share your thoughts about this Building.